… I think that is how people like Mitt Romney view average Americans. We are just mere plebs that they control in order to stack and hoard their gold… er, cash. They have created a system where we are always indebted in one way or another by way of school loans, mortgages, medical bills, and credit cards. They then claim that they cannot afford to pay their workers more, but in the meanwhile, they are taking home multi-million dollar bonuses every year – and each year those bonuses increase, even while we are sitting in a bad economy. People like Romney just do not have the capacity to empathize with people who aren’t well off. 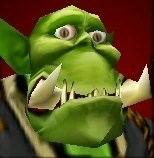 It would be like me sitting back, looking at my little orc peon in Warcraft and wondering if he is making enough to take care of all of the little orcses back at home. We are the equivalent of computer pixels in the minds of the corporatists who hold office. When Mitt Romney says that it isn’t his job to worry about “those people,” when he says that he doesn’t worry about poor people, he means it. The poor, bald, republican talking head on MSNBC (I don’t know his name) said last night, “I wish that our guys had someone who could do that… but, we don’t…” Awww. Poor guy! What President Clinton did last night, and what the majority of the democrats who have given speeches at the DNC have done, requires HEART and SOUL. Two qualities completely lacking in the republican party. They stood up there, with their smug-filled smirks and entitled attitudes, mocking democrats, mocking the president, but that’s all they have. You can’t run a campaign on hate! Hate is DRAINING on the heart, it’s DRAINING on the soul. Republicans can hardly muster up any excitement for their presidential candidate, (speakers at the DNC mentioned President Obama more in ONE NIGHT than the republicans mentioned Romney during their ENTIRE convention) and they definitely can’t gather around their previous president. If the way republicans have done things in the past works so well, they would have been able to trot out GWB & Co – but did they? Nope. Instead it’s, “Let’s pretend that they don’t exist – maybe people will forget.” Maybe their devout base is willing to overlook the fact that their policies haven’t worked – If they did would we be in this mess? But, the rest of us don’t have that mental defect. We DO remember and we WILL be voting OBAMA/Biden 2012!